The Quebec government has had a change of heart towards breed specific legislation. Public Security Minister Martin Coiteux said the government plans to go ahead with its animal control bylaw, but it won’t be targeting pit bulls. Originally, Bill 128 was set to ban a list of dogs considered to be "potentially dangerous," including pit bulls, American Staffordshire terriers, bull terriers, Rottweilers, and cross-bred or hybrid dogs. The proposed ban - tabled in April 2017 - also included dogs trained to attack or protect. The bill followed a handful of dog attacks, including the mauling death of a Montreal woman in her own backyard. However, Coiteux said that government officials will make amendments to the animal control bylaw, because there's been no scientific evidence to prove such a ban is effective - or that the dogs are genetically inclined to be aggressive. But Coiteux said he's not backing down on the ban altogether. Instead, officials will move forward with the concerns of citizens and municipalities in mind. 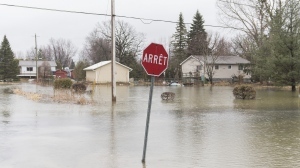 During the public consultations held on the matter, Coiteux said cities were wary of Bill 128, saying it would be hard to enforce rules based on certain breeds because of identification issues. Moving forward, Bill 128 will remain largely intact. Strict rules will be put in place for dogs who show aggressive behaviour, like attacking a person or causing serious injury or death. In that case, Coiteux said the dog will be euthanized. Coiteux also had a message for Lise Vadnais, the sister of Christiane Vadnais, who was mauled to death by a pit bull-type dog in a backyard two years ago. "She same here, she testified - we also had the father and little girl who was attacked in Brossard - and they asked us to do something," Coiteux told reporters on Wednesday. "I think the worst thing would've been to stay on the lines and not do anything." "[It's] perhaps not as much as they would've expected and hoped for, but it's much better than doing nothing," he said. He says the government is still committed to passing the vast majority of measures in Bill 128, which would improve the rules governing dog breeders and the control of dogs deemed aggressive or dangerous. But time is tight with the provincial legislature wrapping up business for the summer next week and with a provincial election set for Oct. 1. In Montreal, the governing Projet Montreal administration overturned a controversial ban on pit bull-type dogs earlier this year brought in by the previous administration. Montreal has held public consultations and will present a revamped animal control bylaw next week it says will be based on best practices while taking into consideration the well-being of animals and public safety. "After meeting the experts and numerous actors, the government came to the same conclusion as us that targeting a specific race is not applicable," said Coun. Craig Sauve, who is shepherding the city file. 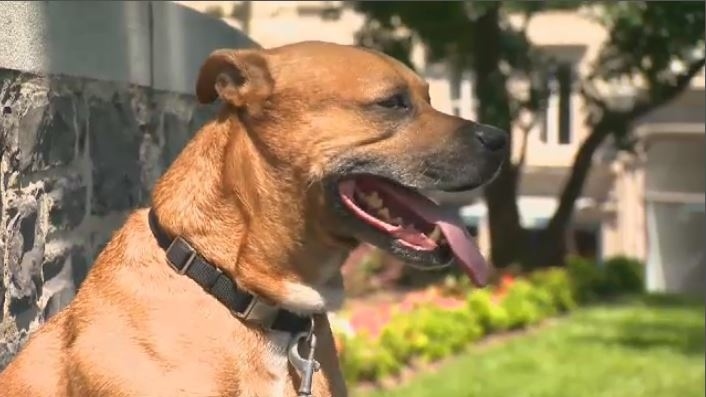 The Montreal branch of the Society for the Prevention of Cruelty to Animals says it is relieved breed-specific legislation is no longer on the agenda. "We are happy the government is moving forward nonetheless with provincial legislation that will address the issue of dangerous dogs without the problematic part of targeting dogs because of their breed or what they look like," said Alanna Devine, the SPCA's director for animal advocacy.